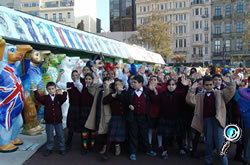 The United Buddy Bears continue their whirlwind global tour with a stop in Turkey. 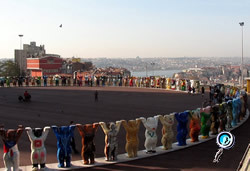 Since December 4th, the Circle of United Buddy Bears has been promoting tolerance and understanding among nations in Istanbul. 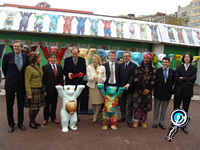 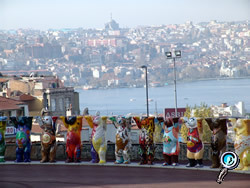 The bears will be presented in Beyoglu at Tepebasi Pera Meydani - with a view of the "Golden Horn" until January 5th, 2005.